Industrial and commercial consumers pay higher tariff because domestic, farm and other users get power at subsidised rates. 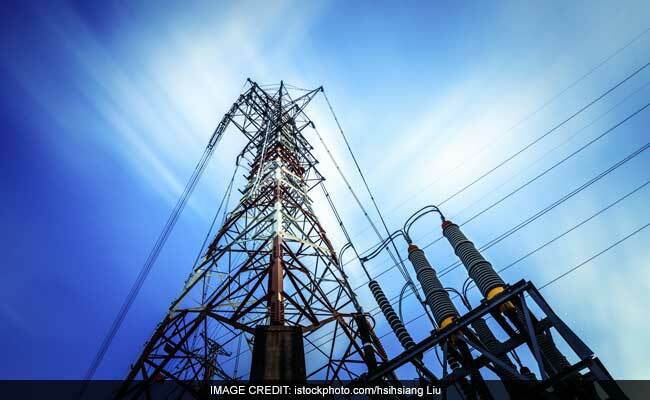 New Delhi: Power rates for commercial and industrial consumers are poised for a drop because states have resolved to prepare a road map to reduce cross subsidies, in line with the Tariff Policy, by March 2018. The policy as amended in January 2016 provides for lower cross subsidy at a below 20 per cent level. The cross subsidy is the difference between the highest and lowest tariffs. Industrial and commercial consumers pay higher tariff because domestic, farm and other users get power at subsidised rates. At present, there are states where tariff slabs number as high as 19. Yesterday, at a conference of 'Ministers for Power and New and Renewable Energy of States & Union Territories' here, the states agreed to bring down the cross subsidy part. The states have resolved in the conference to "prepare a road map for reduction of cross subsidies as per Tariff Policy by March 2018 and bring in... reforms by simplification of consumer tariff categories and rationalisation of electricity tariff", read a statement from the power ministry today. The reasoning of a senior official was industrial and commercial consumers often pay higher tariff to cross subsidise what other consumers pay, which needs to be rationalised. The official said further this is required for the overall economic growth of the country because energy is one of the inputs for industrial production and commercial businesses. Under the UDAY scheme meant for revival of discoms, states are committed to limiting their distribution losses to below 15 per cent, which will also help push down tariff and ensure 24X7 power supply for all. With an eye on 24x7 Power for All by March 2019, the states have decided in the conference to electrify all remaining census inhabited un-electrified villages by December 2017, provide electricity connections to all willing households by December 2018 and provide infrastructure for seamless power supply to consumers by March 2019. They have also resolved to clear all current year's government dues of discoms along with 25 per cent of arrears so that the entire old dues are paid off by March 2019. States will provide continuous support to resolve Right of Way issue for seamless power transfer, improve quality of power supply and minimise load shedding for non-technical reasons. It has also been agreed by states to ensure discoms enter into PPAs (power purchase agreements) and honour the same, particularly for wind and solar sectors where tariff has been worked out through transparent and competitive bidding. One of the other agreements was to ensure compliance of RPO (Renewable Purchase Obligation), including compliance through a mechanism of purchase of REC (renewable energy certificates) in accordance with the revised Tariff policy and RPO trajectory notified by the Ministry of Power on July 22, 2016. States will be sending in their suggestions on the future RPO trajectory from 2019-20 to 2021-22. They also agreed to promote digital payments through various means such as cash incentives, waiving convenience fee, consumer friendly online payments and promotion of digital payments through various media. They also decided to identify at least one city for making it 100 per cent renewable energy city. In his concluding remarks, Power and New & Renewable Energy Minister R K Singh proposed forming consultative groups of experts to handhold states in bringing efficiency through best practices in their respective power sectors and phasing out obsolete methods and technologies. Singh emphasised that this will make the power sector in India become robust and efficient and ultimately ensure ease of living for every citizen of the country.